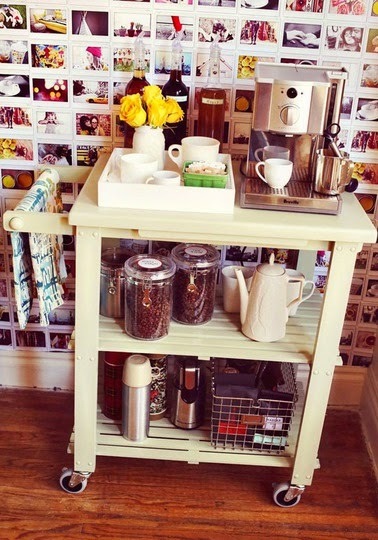 The super cute and chic coffee cart trend; a new fresh take on the traditional bar cart! 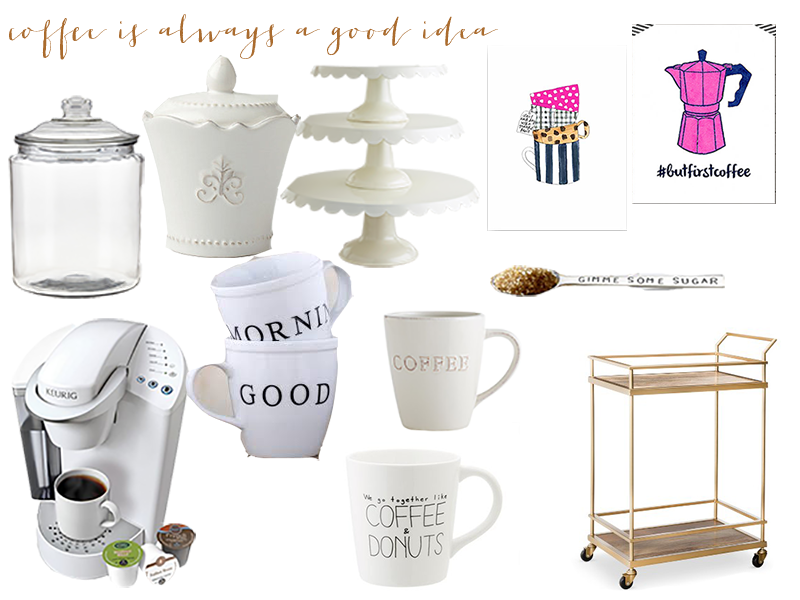 I personally love this idea because A) I'm not 21 yet and B) I personally can't live without coffee and C) It's a fun and creative way to dress up your morning cup of joe! I definitely will be doing a coffee cart in my future space. 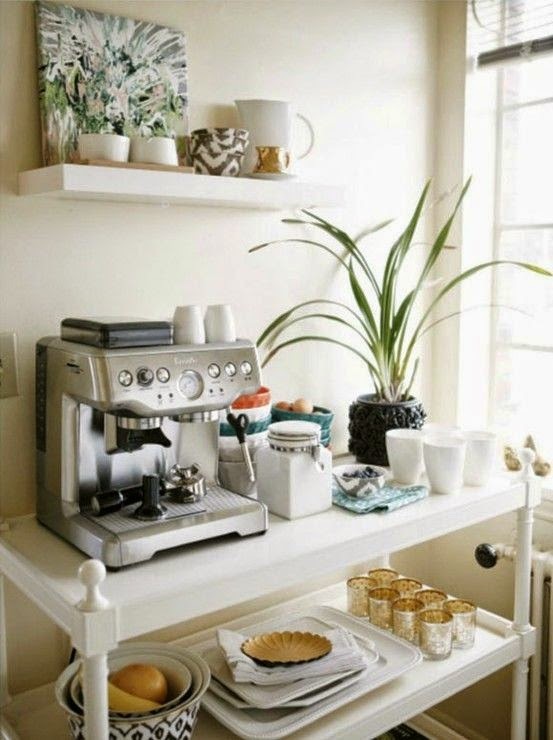 I love the idea of you're own little Starbucks corner in your kitchen, dining room or living area! There are so many ways you can decorate it too and I'm all down for decorating! 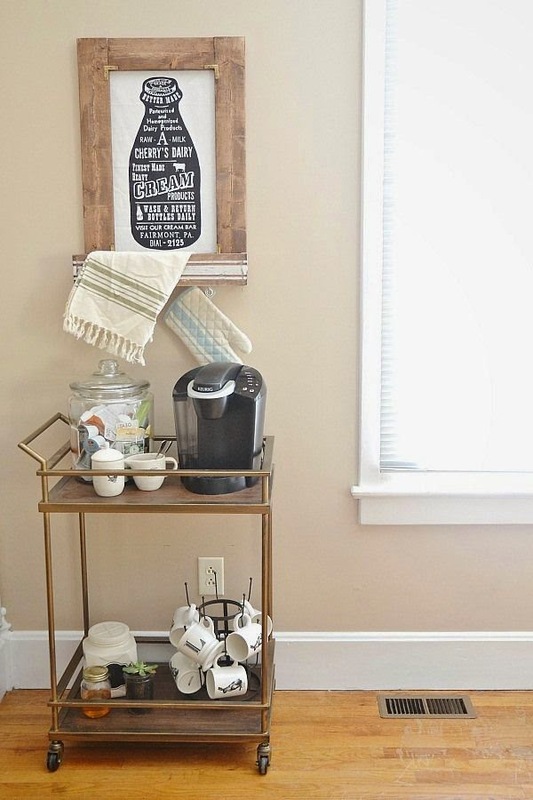 Places to look for cute coffee cart items are TJ Maxx, Homegoods, World Market, Pottery Barn, Target and Bed Bath and Beyond. Homegoods and World Market also sells gourmet and specialty coffees and teas perfect for stocking up on!